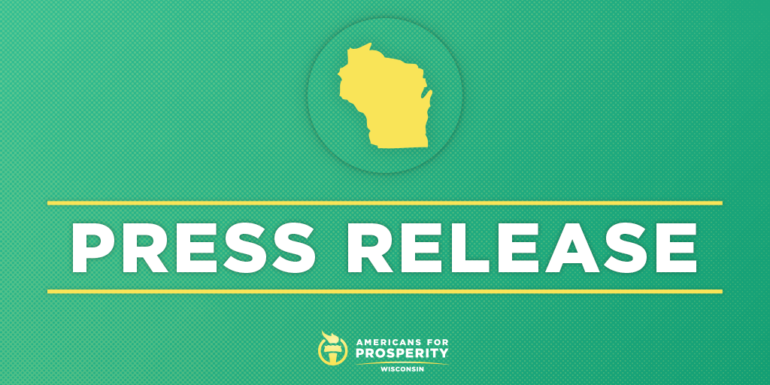 MADISON, Wis. – Americans for Prosperity-Wisconsin (AFP-WI) today announced a new, digital ad campaign thanking Representatives Ron Kind (D-03) and Mike Gallagher (R-08) for introducing the Bicameral Congressional Trade Authority Act (H.R. 940) and encouraging key lawmakers to cosponsor the bipartisan legislation. The bill would give Congress a vote on certain tariffs proposed by a president before they can take effect. View the Thank you ad here. View the Encouragement ad here. Wisconsin business owners and consumers have been openly critical of how tariffs negatively impact them. Examples include: Ardisam, Inc., ECM Industries LLC, and Spectrum Brands Holdings. To view the comments made by Wisconsin business owners, click here. Senators Michael Bennet (D-Colo.); Maria Cantwell (D-Wash.); Ben Cardin (D-Md. ); Thomas Carper (D-Del. ); Bob Casey (D-Pa.); Bill Cassidy (R-La. ); Catherine Cortez Masto (D-Nev.); Mike Crapo (R-Idaho); Ted Cruz (R-Texas); Steve Daines (R-Mont. ); Mike Enzi (R-Wyo. ); Chuck Grassley (R-Iowa); Johnny Isakson (R-Ga.); Tim Kaine (D-Va.); Robert Menendez (D-N.J.); Pat Roberts (R- Kan.); Tim Scott (R-S.C.); Debbie Stabenow (D-Mich.); Dan Sullivan (R-Alaska); John Thune (R-S.D. ); Chris Van Hollen (D-Md. ); Roger Wicker (R-Miss. ); and Representatives Vern Buchanan (R-Fla.); Danny Davis (D-Ill.); Suzan DelBene (D-Wash.); Brian Higgins (D-N.Y.); George Holding (R-N.C.); Dale Kildee (D-Mich.); Kenny Marchant (R-Texas); Stephanie Murphy (D-Fla.); Devin Nunes (R-Calif.); Bill Pascrell (D-N.J.); Tom Rice (R-S.C.); Dave Schweikert (R-Ariz.); and Jason Smith (R-Mo.). The United States should eliminate all trade barriers, regardless of other countries’ trade policies, in order to provide Americans lower prices, more jobs and bigger paychecks, and to drive innovation through competition. Individuals and businesses in a competitive market, not government bureaucrats or politicians, should guide trade decisions. Punitive measures such as tariffs and quotas are an unjust government intrusion into the lives of hardworking Americans. They violate the property and associational rights of individuals and should all be eliminated. Subsidies and other forms of government supports for powerful and politically connected businesses and industries do not create value. They punish consumers, burden taxpayers, insulate businesses from market competition, and should be eliminated. Trade disputes should be resolved through existing international trade agreements and organizations. While national security interests may be a consideration in trade policy, they should be used to restrict trade only when there is truly a narrow national security interest at stake, not as a workaround to impose tariffs.